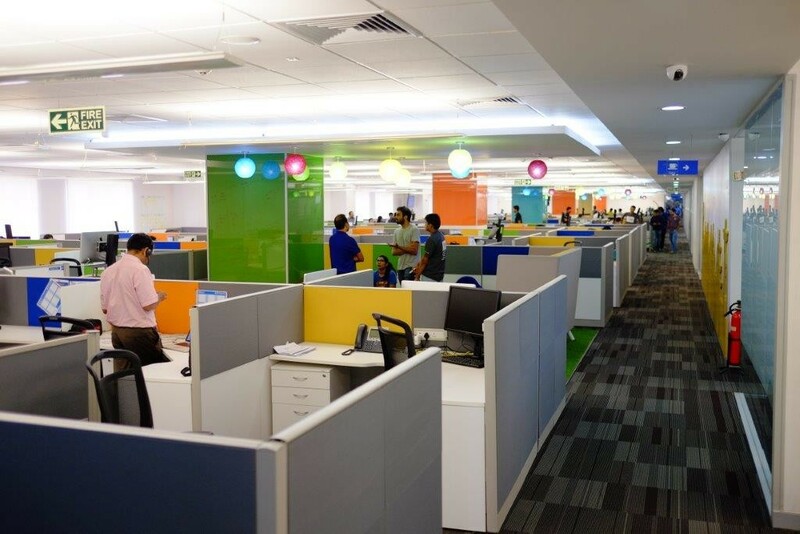 Recently Walmart, the world’s largest retailer, inaugurated its new technology “center of excellence” at Outer Ring Road, Bengaluru. WalmartLabs (formerly named Kosmix) is an American privately held company in Mountain View, California. In April 2011 Walmart acquired Kosmix and formed WalmartLabs, a research division, out of it. “We help people around the world save money and live better anytime and anywhere in retail stores, online, and through their mobile devices. 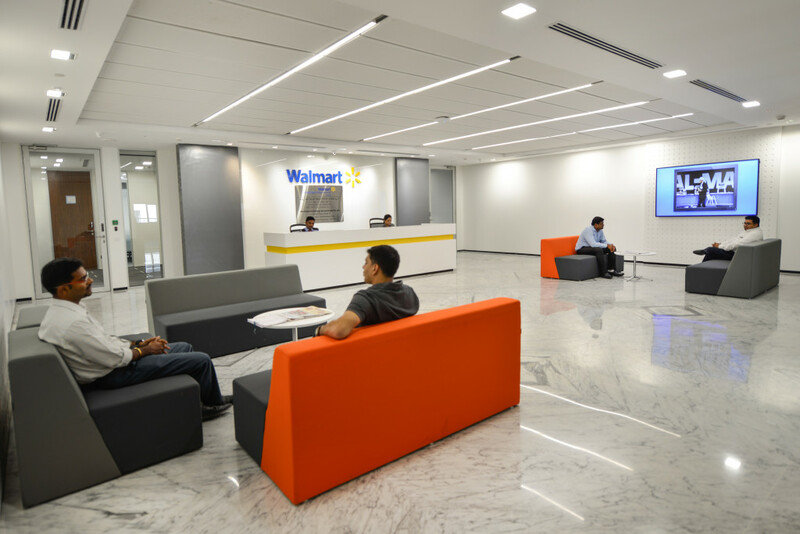 We are focused on changing the way the world shops by providing smarter and intuitive ways to shop and manage business processes.”, Jayakumar, MD, Walmart Global technology services tells OfficeChai. 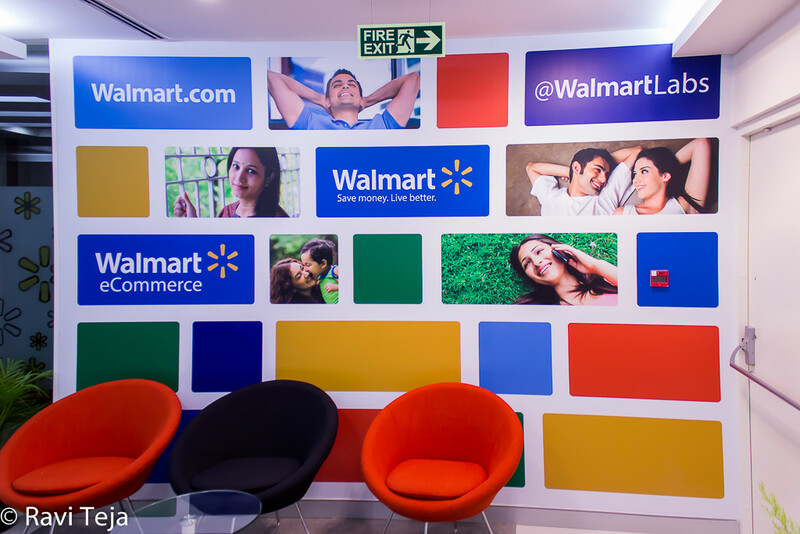 WalmartLabs has three development centers worldwide: USA, Brazil and India. With revenue of $486 billion in 2015, Walmart employs more than 2 million associates worldwide. The office houses 1,200 people, its third after the ones in US and Brazil. The team is focused on data analytics and Walmart‘s new digital foundation, involving mobile, cloud and high-level analytics. We got a chance to look at the office, and we’re happy to share the photos. 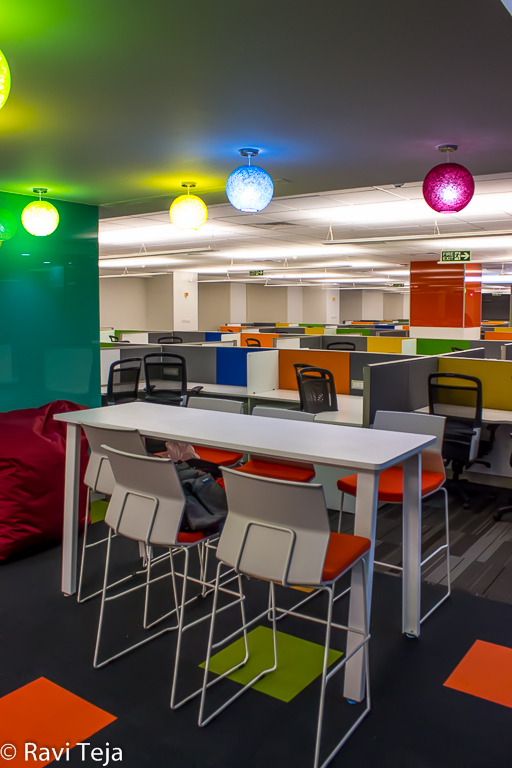 The office at 250k sq feet is expansive, neatly segmented into cubicles, and everything is offset by the bright and colourful lamps overhead. 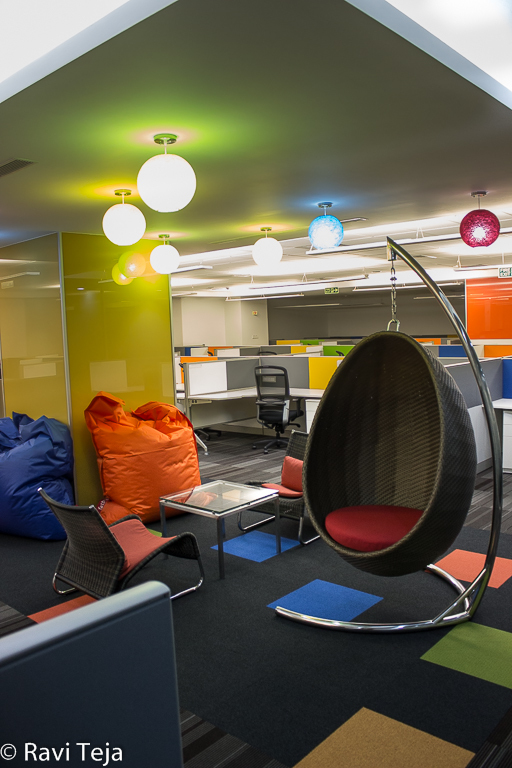 The corporate cubicles intersperse with some contemporary furniture. The company provides free of cost cab transportation and breakfast and lunch to their associates. 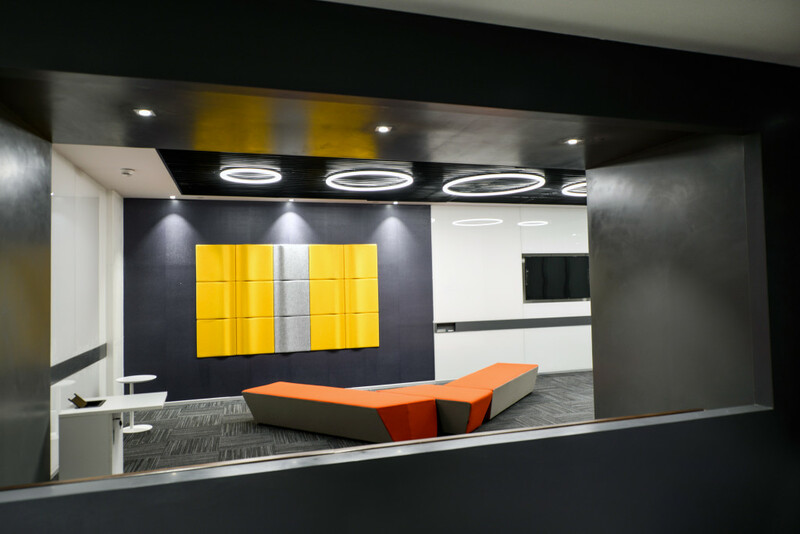 To strike a balance between fun and work, they also have recreation areas in the offices, with a range of indoor games such as Table Tennis, Foosball table, Carom Board, Chess, etc.